Taken from the abandoned site of Battery Spencer in the Marin Headlands. I'm sure there are a million similar photos taken by a million different photographers, but I figured I'd give it a shot anyway. This summer the fog in San Francisco has seemed interminable, which is to be expected, though not usually this late into September. But last week the thick grey mist that usually howls all day long through the Golden Gate mostly cleared up. 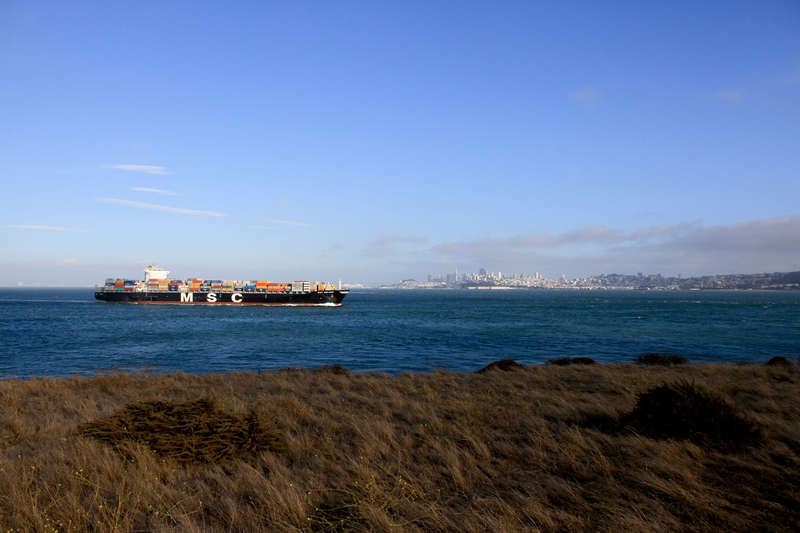 So I took a little trip down to Fort Baker just North of the bridge and caught a cargo ship on it's way out in the late evening sun. The city skyline is a little hazy due to some leftover fog but comparatively it was very clear. Just off the rock at the center of the frame there was a guy with his daughter fishing the bay. His daughter in the yellow raincoat was especially excited about the ship. She kept jumping up and down, pointing and yelling as the massive boat cruised out under the bridge. I have to admit that I was pretty excited too. San Francisco is a great city, but the fact that it's also home to an active seaport gives it that much more character. There's something romantic about ships passing under The Bridge, on their way out into the open ocean. 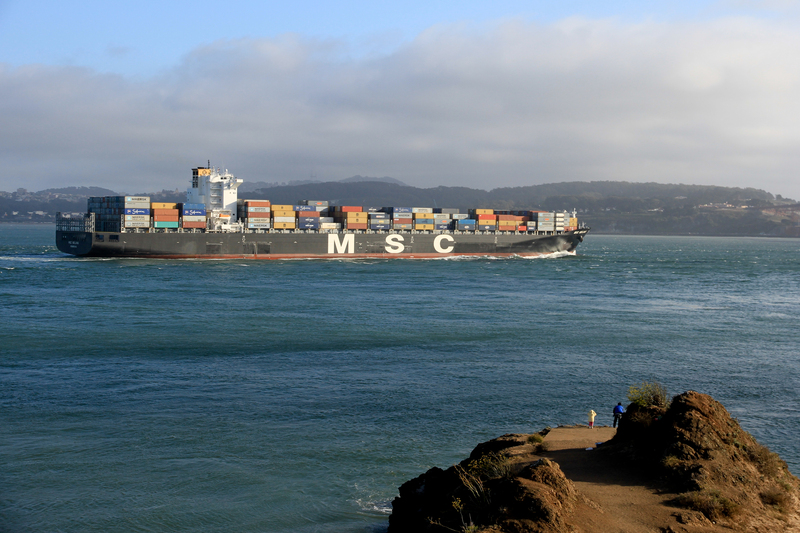 Though in reality, all these big cargo ships actually dock at the Port of Oakland since the Port of San Francisco has become outdated and isn't set up to load and unload modern shipping containers. But who wants to talk about the romantic vistas of the Bay Area in regards to Oakland's industrial shipping port? No Thanks.